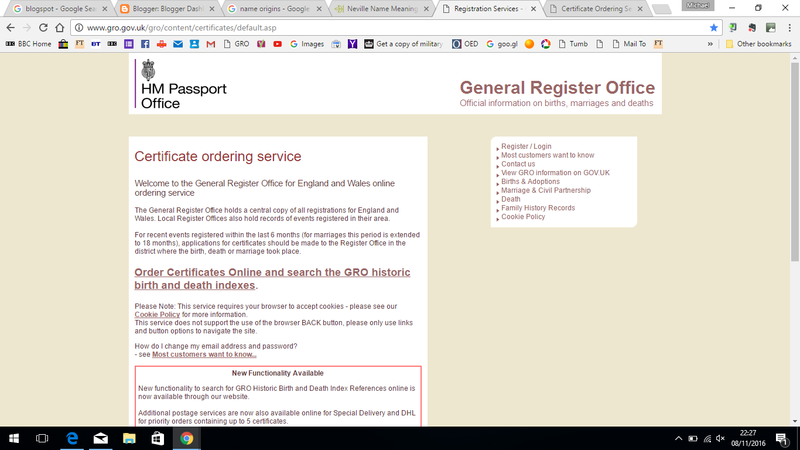 The website to use when ordering certificates – English and Welsh birth, marriage and death certs is the website of the General Register Office. For births the mother’s maiden name will be shown. Previously this was only for births after 1911. For deaths age at death is included. These are new indexes so may reveal those events missing from other databases because of transcription errors. Once you find a record you will be able to order a certificate with the information that has been found. 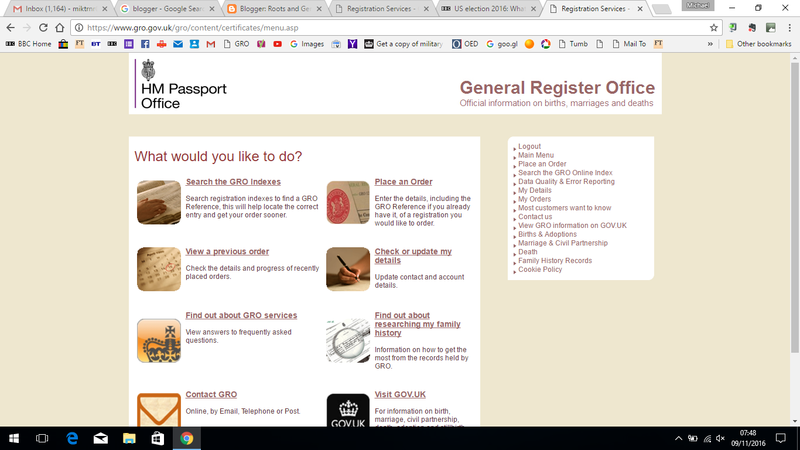 The first thing to do if you have not already used the site is to register. It is free. Follow the register link on the right hand side, Complete the registration process which will be activated once you confirm your email address by acknowledging the mail you will get from the GRO. 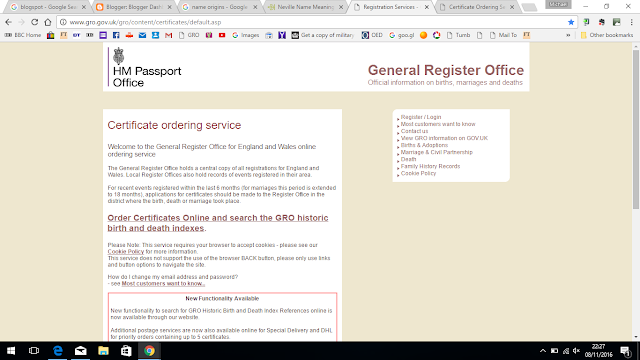 Once your account is activated you will be able to search the GRO database for births and deaths. Click on the link on the GRO page “Order Certificates Online…..inexes” or click the link here to take you directly to the search page GRO Search. This will take you to the login page. 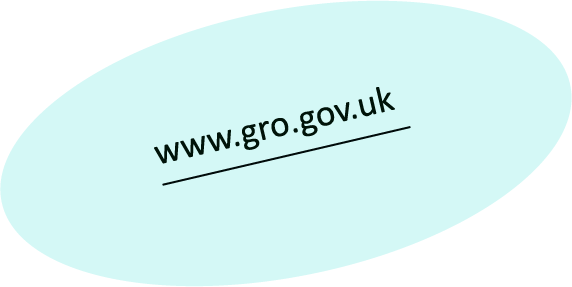 Once you have identified yourself (don’t forget you password) you will be taken to this page. 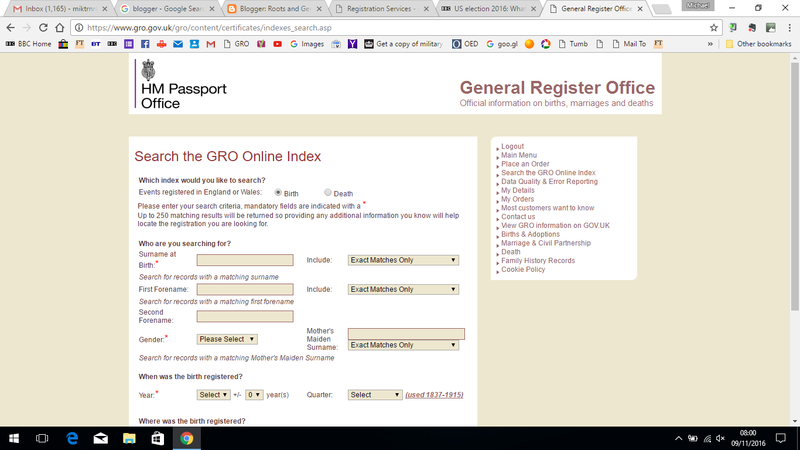 Follow the first link “Search the GRO Indexes”. Complete the form with the information that you have. Resist entering too much. Only the starred items are essential for a search. Experiment with different choices if you don’t initially find what your are seeking.